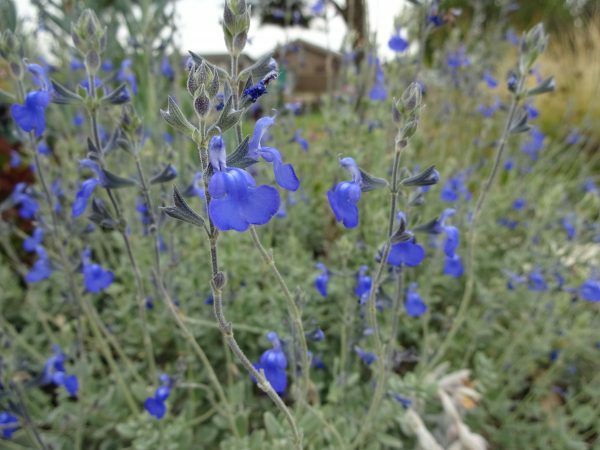 Beautiful compact silver leaved, short variety with masses of sky blue flowers all summer. Produced many fresh shoots from the woody base of the plant. Flowers from May till October. Height and spread 30 by 50cm. Needs full sun and very sharp drainage.